A crisp white display and intuitive controls make this Series 3 model a welcome addition to any kitchen. The fully extendable telescopic rails and soft-close door make cooking even easier for your household’s cook. ASKO design facilitates a modern cooking experience that incorporates all the best traditional oven capabilities. 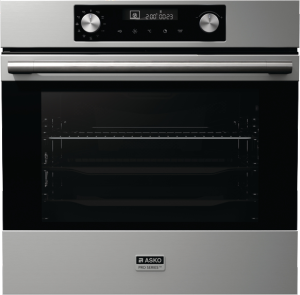 The ASKO OT8636S Pro Series Oven is a case in point, where multifunction that would previously require a range of cooking devices is now performed within one eye-catching and efficient unit. ASKO ovens feature meticulous Scandinavian influences that are often understated, although every purposeful innovation is included. The Series 3 Multifunctional Oven is an all-in-one cooking powerhouse that performs as great as it looks. 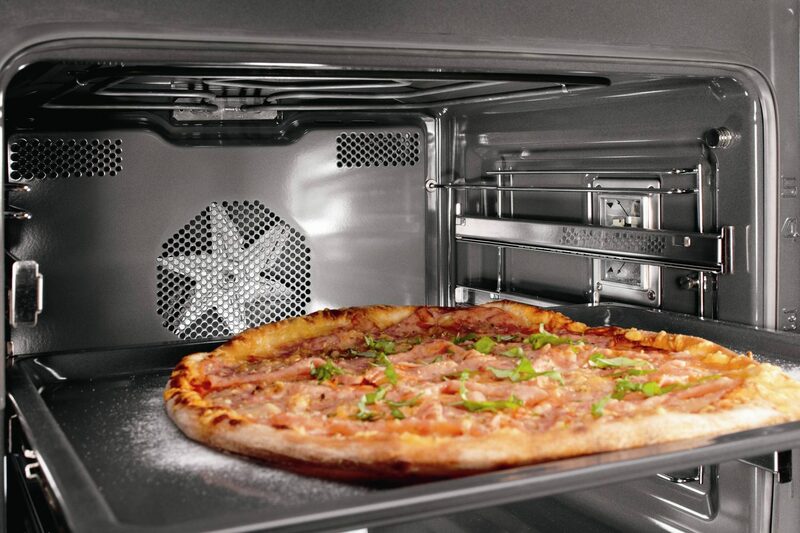 Huge oven capacity: A spacious oven provides better heat distribution for cooking larger amounts. Additionally, ASKO ovens can be installed side-by-side or above and below each other for even greater cooking capacity. The energy efficient insulated door makes sure this oven keeps the heat circulating exactly where it is needed, while keeping the rest of the kitchen cool. Vaulted cavity ceiling: Designed to emulate the best cooking qualities of a traditional wood fire oven, the OT8636S Pro Series Oven provides even circulation of hot air and perfect results every time. Versatility plus volume enables a cooking experience that is unparalleled. 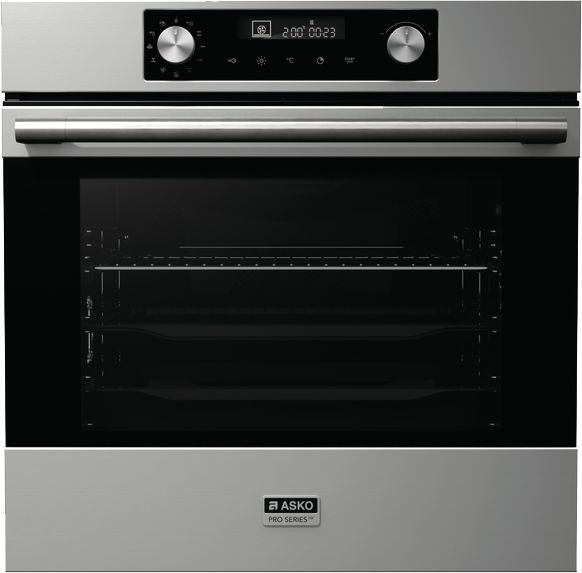 Plate Warming: ASKO oven features include a range of innovations to make meal times a breeze. Plate warming is a technique used in the world’s best restaurants for keeping soup and sauces consistently warm and ready to be enjoyed. Door removal for easy cleaning: ASKO innovations facilitate easy cleaning. 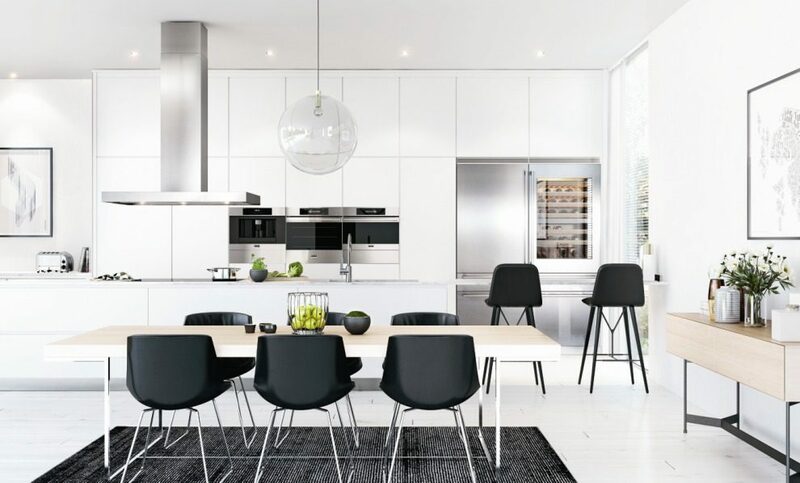 The inner and intermediate glass door panels are removed and replaced in two simple steps, ensuring your ASKO oven always looks its best for every occasion. Adjustable feet: Although ASKO ovens are perfectly symmetrical, not all kitchens are designed with the same exacting specifications. To counteract any imbalance, OT8636S Pro Series ovens are fitted with adjustable feet to ensure even baking and attractive results every time. Soft closing door: Even when using the best oven, there are times a kitchen can become a hectic place, especially when multi-tasking. The Series 3 Multifunctional capability eliminates the possibility of the oven door remaining ajar or slamming shut and ruining the dish. The soft closing door is sensitive to touch, with a built-in spring system that allows users to gently touch the door closed. ASKO ovens provide an intuitive cooking experience using a crisp display panel for additional guidance. 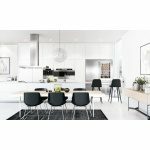 Extendable telescopic rails along with lockable controls provide easy and safe use, while active oven cooling, aqua cleaning capabilities and dishwasher proof accessories make ASKO ovens the right fit for any kitchen. The 5 baking levels and numerous grids are illuminated by 2 well placed interior lights so chefs can oversee cooking progress without disturbing the process. The 12 cooking functions are admirably supported by upper and lower heating elements that can be used individually or collectively, while defrost and reheat selections speed up the cooking process immensely. 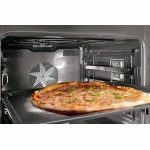 Hot air convection ovens are unequalled, and when combined with an XL cavity size and large grill options, the cooking choices are multiplied many times over. The ASKO OT8636S Pro Series Multifunctional Oven is a class above the competition, providing results that other chefs only dream of. Experience the ASKO difference and you will realise exactly what the hype is all about.